Following top 5 success of "HAPPINESS,"
band releases next single "TESTIFY"
“HAPPINESS” hit the Top 5 on the Christian Hot AC chart and has amassed over 4 million streams on Spotify. The band recently unveiled the official music video for “HAPPINESS”– which can be seen here https://youtu.be/xSWnSFPrPI4. The single is also currently featured in Microsoft’s new ad campaign, broadcasting both on television and online. The next single, "TESTIFY" has been released to Christian radio. In related news, NEEDTOBREATHE is the latest artist to release a special edition album under Cracker Barrel Old Country Store’s Spotlight Music Program. This special edition of H A R D L O V E includes two additional tracks exclusively for Cracker Barrel Old Country Store - “WHEN I SING (Mountain House Version)” and “LET’S STAY HOME TONIGHT (Original Demo)” – and is available at Cracker Barrel Old Country Stores nationwide and online atcrackerbarrel.com. NEEDTOBREATHE will kick off their epic US headlining tour, “TOUR DE COMPADRES 2016,” on August 17th at Raleigh, NC’s Red Hat Amphitheater. The 50+ city run wraps up November 12th at Lynchburg, VA’s Liberty University (see attached itinerary). The second annual “TOUR DE COMPADRES” sees NEEDTOBREATHE bringing along some of their closest musical friends as support, including special guests Mat Kearney, John Mark McMillan (Leg 1 only), Parachute (Leg 2 only), and Welshly Arms. Highlights include a massive hometown concert at Charleston, SC’s 10,000+ capacity Volvo Car Stadium on August 19th as well as performances at such legendary venues as Los Angeles’ Greek Theatre (September 10th), Morrison, CO’s Red Rocks Amphitheatre (September 15th), Chicago’s Aragon Ballroom (October 30th), and New York City’s Beacon Theatre (November 2nd). For complete details and ticket information, please visit www.tourdecompadres.com. Co-produced by NEEDTOBREATHE and recorded at their very own Plantation Studios in Charleston, SC, H A R D L O V E follows the band’s 2014 album Rivers In the Wasteland, which topped Billboard's Christian Albums chart. The album also earned NEEDTOBREATHE their first ever GRAMMY® Award nomination and a pair of Billboard Music Award nominations, while its breakout single, “Brother (Feat. Gavin DeGraw),” proved to be the highest charting single of their career to date. The RIAA-certified Gold hit song soared up the charts, landing at #1 on Billboard's Hot Christian Songs and Christian Digital Songs charts. NEEDTOBREATHE is: Bear Rinehart (vocals, guitar) and Bo Rinehart (guitar, vocals), Seth Bolt (bass, vocals), and Josh Lovelace (keys, vocals). For additional news and information, please visit NEEDTOBREATHE.com,facebook.com/NEEDTOBREATHE, twitter.com/NEEDTOBREATHE (@NEEDTOBREATHE),instagram.com/needtobreathe, tourdecompadres.com, and www.atlanticrecords.com. To herald the release of H A R D L O V E, NEEDTOBREATHE are set to perform the album’s lead single “HAPPINESS” on NBC’s TODAY on July 20th. The song is currently Top 5 on the Christian Hot AC chart and has amassed nearly 4 million streams on Spotify. The band recently unveiled the official music video for “HAPPINESS”– which can be seen herehttps://youtu.be/xSWnSFPrPI4. The single is also currently featured in Microsoft’s new ad campaign, broadcasting both on television and online. The next single, "TESTIFY" has been released to Christian radio. Additionally, NEEDTOBREATHE is the latest artist to release a special edition album under Cracker Barrel Old Country Store's Spotlight Music Program. This special edition of H A R D L O V E includes two additional tracks exclusively for Cracker Barrel Old Country Store - “WHEN I SING (Mountain House Version)” and “LET’S STAY HOME TONIGHT (Original Demo)” – and is available in Cracker Barrel Old Country Stores nationwide and online atcrackerbarrel.com. Cracker Barrel Old Country Store has released albums with a wide variety of artists, some of which have debuted in top spots on a range of Billboard charts. Recent Cracker Barrel Old Country Store Spotlight Music partners include the brand’s first pop albums with a cappella group Pentatonix and “Fight Song” singer Rachel Platten, its first R&B album with Anthony Hamilton, as well as recent albums from Cole Swindell and Blake Shelton. Following a high profile performance with OneRepublic at this year’s MLB All-Star Weekend, NEEDTOBREATHE will kick off their epic US headlining tour, “TOUR DE COMPADRES 2016,” on August 17th at Raleigh, NC’s Red Hat Amphitheater. The 50+ city run wraps up November 12th at Lynchburg, VA’s Liberty University (see attached itinerary). The second annual “TOUR DE COMPADRES” sees NEEDTOBREATHE bringing along some of their closest musical friends as support, including special guests Mat Kearney, John Mark McMillan (Leg 1 only), Parachute (Leg 2 only), and Welshly Arms. Highlights include a massive hometown concert at Charleston, SC’s 10,000+ capacity Volvo Car Stadium on August 19th as well as performances at such legendary venues as Los Angeles’ Greek Theatre (September 10th), Morrison, CO’s Red Rocks Amphitheatre (September 15th), Chicago’s Aragon Ballroom (October 30th), and New York City’s Beacon Theatre (November 2nd). For complete details and ticket information, please visit www.tourdecompadres.com. Co-produced by NEEDTOBREATHE and recorded at their very own Plantation Studios in Charleston, SC, H A R D L O V E follows the band’s blockbuster album Rivers In the Wasteland, which topped Billboard's Christian Albums chart and earned NEEDTOBREATHE their first ever GRAMMY® Award nomination and a pair of Billboard Music Award nominations. The album’s breakout single, “Brother (Feat. Gavin DeGraw),” proved to be the highest charting single of their career. The RIAA-certified Gold hit soared up the charts, landing at No. 1 on Billboard's Hot Christian Songs and Digital Songs chart. For additional background on the new album, check out features from CCM Magazine and Relevant, who recently chatted with Bear Rinehart about the making of H A R D L O V E.
NEEDTOBREATHE is: Bear Rinehart (vocals, guitar), Bo Rinehart (guitar, vocals), Seth Bolt (bass, vocals) and Josh Lovelace (keys, vocals). NEEDTOBREATHE Premieres Music Video For Lead Single "HAPPINESS"
Nashville, Tenn. (June 10, 2016) — Atlantic recording group NEEDTOBREATHE has unveiled the official music video for “HAPPINESS,” the lead single from the GRAMMY®-nominated rock band’s forthcoming album H A R D L O V E. The highly anticipated release is set to arrive on July 15th. “HAPPINESS was a lot of fun to make...who doesn't want to run around the streets of LA in the dead of night? It's also the first video we've ever gotten to show off our athletic skills. You're welcome America. #Rio2016,” says lead singer Bear Rinehart. The video – which can be seen here https://youtu.be/xSWnSFPrPI4 – was directed by Noble Jones (Taylor Swift, OneRepublic, Lady Antebellum, Keith Urban) and shot overnight in the streets of Downtown Los Angeles. “HAPPINESS” is impacting at Christian Radio now, with early support from over 47 CCM stations including AIR 1, WAY-FM, KLTY Dallas and WFSH Atlanta among others. The song jumped four positions at HOT AC/CHR to land at No. 5 this week, and is also No. 26 on the National Christian Audience chart. Earlier this week, NEEDTOBREATHE opened the 2016 K-LOVE Fan Awards with a surprise performance of the single, live from the Grand Ole Opry House in Nashville. The group was also nominated for Best Live Show. "HAPPINESS" is currently featured in Microsoft’s new ad campaign, broadcasting both on television and online. Additionally, LEGO is featuring “The Heart” from the band’s 2014 album Rivers In the Wasteland in their latest ad campaign. H A R D L O V E is now available for pre-order, with all purchases accompanied by an instant grat download of “HAPPINESS” as well as album tracks “MONEY & FAME,” “NO EXCUSES,” and the recently released “GREAT NIGHT” which features fellow South Carolinians Shovels & Rope. Exclusive album pre-order bundles that also include limited-edition merchandise are available at the band’s Official Online Store (store.NEEDTOBREATHE.com). NEEDTOBREATHE will celebrate the release of H A R D L O V E with “TOUR DE COMPADRES 2016,” an epic US headline run kicking off August 17th at Raleigh, NC’s Red Hat Amphitheater and then traveling through a November 12th finale at Lynchburg, VA’s Liberty University. The second annual “TOUR DE COMPADRES” sees NEEDTOBREATHE bringing along some of their closest musical friends as support, including special guests Mat Kearney, John Mark McMillan (Leg 1 only), Parachute (Leg 2 only), and Welshly Arms. Highlights include a massive hometown concert at Charleston, SC’s 10,000+ capacity Volvo Car Stadium on August 19th as well as performances at such legendary venues as Los Angeles’ Greek Theatre (September 10th), Morrison, CO’s Red Rocks Amphitheatre (September 15th), Chicago’s Aragon Ballroom (October 30th), and New York City’s Beacon Theatre (November 2nd). For complete details and ticket information, please visit www.tourdecompadres.com. Co-produced by NEEDTOBREATHE and recorded at their very own Plantation Studios in Charleston, SC, H A R D L O V E follows the band’s blockbuster album Rivers In the Wasteland, which made a stunning chart debut upon its 2014 release, topping Billboard’s “Top Rock Albums” and “Top Alternative Albums” charts while also entering the overall SoundScan/Billboard 200 at No. 3. What’s more, the album’s stunning “Multiplied” earned NEEDTOBREATHE their first ever GRAMMY® Award nomination. The album’s breakout single, “Brother (Feat. Gavin DeGraw)” proved to be the highest charting single of their career. The RIAA-certified Gold hit song soared up the charts, landing at No. 1 on Billboard's Hot Christian Songs and Christian Digital Songs charts. The track’s companion video – directed by independent filmmaker Jared Hogan – has drawn close to 10 million views at NEEDTOBREATHE’s official YouTube channel. In addition, NEEDTOBREATHE and DeGraw rocked New York City’s Times Square with an unforgettable performance of “Brother,” live on ABC’s Good Morning America. 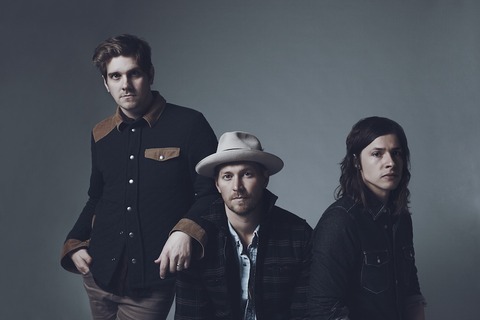 NEEDTOBREATHE is a GRAMMY®-nominated, American Rock ‘n’ Roll Band from South Carolina, effortlessly woven from the musical traditions of their upbringing in the Deep South of the United States. Comprised of brothers Bear Rinehart (vocals, guitar) and Bo Rinehart (guitar, vocals), Seth Bolt (bass, vocals), and Josh Lovelace (keys, vocals), the band signed to Atlantic/Lava Records and quickly achieved cross-genre success via five studio albums and innumerable headline tours. In addition, NEEDTOBREATHE received wide ranging attention from the national media, highlighted by performances on such high profile TV outlets as ABC’s Good Morning America and Jimmy Kimmel Live, TBS’ Conan, NBC’s The Tonight Show with Jay Leno and Late Night with Jimmy Fallon, CBS’ Late Show with David Letterman and CBS This Morning, and the nationally syndicated Ellen DeGeneres Show. NEEDTOBREATHE’s latest studio album – H A R D L O V E – will be available everywhere on July 15th. Nashville, Tenn. (April 1, 2016) — GRAMMY Award®-nominated Atlantic recording group NEEDTOBREATHE has announced early details of their forthcoming new album. “H A R D L O V E” arrives everywhere on July 15th. “H A R D L O V E” is now available for pre-order, with all purchases accompanied by instant grat downloads of the lead single, “HAPPINESS” as well as the album track “MONEY & FAME.” Exclusive album pre-order bundles that also include limited-edition merchandise will be available at the band's Official Online Store (store.NEEDTOBREATHE.com). “HAPPINESS” – available on all streaming services and DSPs along with "MONEY & FAME" – impacts Christian radio April 8th. “The song 'HAPPINESS' is really about the sacrifices we have to make in order to change,” lead singer Bear Rinehart said of the single. “I think that everyone who has had to make a major decision in their life knows that change is only worth it when you make the change for the right reason. Happiness after all is clearly a fleeting thing, but purpose is what brings real joy. I believe that there’s no better place in the world than the middle of the will of God for your life. I hope that the song ‘HAPPINESS’ makes you feel that way." The ten-time Dove Award winners will celebrate “H A R D L O V E” with “TOUR DE COMPADRES 2016,” an epic US headline run kicking off August 17th at Raleigh, NC’s Red Hat Amphitheater and then traveling through a November 12th finale at Lynchburg, VA’s Liberty University. The second annual “TOUR DE COMPADRES” sees NEEDTOBREATHE bringing along some of their closest musical friends as support, including special guests Mat Kearney, John Mark McMillan (Leg 1 only), Parachute (Leg 2 only), and Welshly Arms. Highlights include a massive hometown concert at Charleston, SC’s 10,000+ capacity Volvo Car Stadium on August 19th as well as performances at such legendary venues as Los Angeles’ Greek Theatre (September 10th), Morrison, CO’s Red Rocks Amphitheatre (September 15th), Chicago’s Aragon Ballroom (October 30th), and New York City’s Beacon Theatre (November 2nd). Presale ticketing for “The Insiders” – the official NEEDTOBREATHE fan club – begins April 4th followed by an additional presale for mailing list members and Facebook Event followers on April 11th; all remaining tickets will then be released to the general public on April 15th. For complete details and ticket information, please visit www.tourdecompadres.com. Co-produced by NEEDTOBREATHE and recorded at their very own Plantation Studios in Charleston, SC, “H A R D L O V E” follows the band’s blockbuster album “Rivers In the Wasteland,” which made an impressive chart debut upon its 2014 release, topping Billboard’s Christian Albums chart. What’s more, the album’s stunning “Multiplied” earned NEEDTOBREATHE their first ever GRAMMY® Award nomination. NEEDTOBREATHE is a GRAMMY-nominated, American Rock ‘n’ Roll Band from South Carolina, effortlessly woven from the musical traditions and faith of their upbringing in the Deep South of the United States. Comprised of brothers Bear Rinehart (vocals, guitar) and Bo Rinehart (guitar, vocals), Seth Bolt (bass, vocals) and Josh Lovelace (keys, vocals), the band signed to Atlantic/Lava Records and quickly achieved cross-genre success via five studio albums and innumerable headline tours. In addition, NEEDTOBREATHE received wide ranging attention from the national media, highlighted by performances on such high profile TV outlets as ABC’s Good Morning America and Jimmy Kimmel Live, TBS’ Conan, NBC’s The Tonight Show with Jay Leno and Late Night with Jimmy Fallon, CBS’ Late Show with David Letterman and CBS This Morning, and the nationally syndicated Ellen DeGeneres Show. NEEDTOBREATHE'S latest studio album "H A R D L O V E" will be available everywhere on July 15th. NBA Legend Rick Barry, PGA Player Russell Henley, NFL Star Receiver Adam Humphries, Multiplatinum Rock Band Switchfoot And Chart-topping Singer Mat Kearney Are Among The Participants At The Fourth Annual "NEEDTOBREATHE Classic"
Nashville, Tenn. (March 7, 2016) — Atlantic/Word recording group NEEDTOBREATHE is bringing together celebrity athletes and musicians for their annual charity golf tournament. The NEEDTOBREATHE Classic, now in its fourth year, raises money to benefit the Palmetto Medical Initiative (PMI), a Charleston, South Carolina-based non-profit organization which seeks to bring quality health care to developing countries around the world. This year’s participants include NBA legend Rick Barry, PGA player Russell Henley, NFL receiver Adam Humphries, multiplatinum rock band Switchfoot, chart-topping singer Mat Kearney, actor Kevin Sorbo ("God's Not Dead") and musicians Drew Holcomb and John Mark McMillan. “This tournament is literally our favorite couple days of the year! The lineup of celebrities this year is the best we've ever had, so we can't wait to see what kind of money will be raised for this great cause,” explains lead singer Bear Rinehart. The GRAMMY-nominated band raised over $250,000 for PMI in 2015 alone, largely from last year’s NEEDTOBREATHE Classic. With the impassioned support of their incredible fans, the band has also funded the entirety of the organization’s first clinic in Tola, Nicaragua. For more information about the NEEDTOBREATHE Classic, please visit www.commonwealthcares.org. NEEDTOBREATHE is currently in the studio working on the follow-up to 2014’s Rivers In The Wasteland, which debuted at No. 1 on Billboard’s “Top Rock Albums” and “Top Alternative Albums” charts while also entering the overall SoundScan/Billboard 200 at No. 3 and earned the band their first ever GRAMMY® Award nomination. The as-yet-untitled album is expected to be released later in 2016 with North American touring plans to be unveiled shortly. NEEDTOBREATHE is a GRAMMY-nominated, American Rock ‘n’ Roll Band from South Carolina, effortlessly woven from the musical traditions and faith of their upbringing in the Deep South of the United States. Comprised of brothers Bear Rinehart (vocals, guitar) and Bo Rinehart (guitar, vocals), Seth Bolt (bass, vocals), and Josh Lovelace (keys, vocals), the band signed to Atlantic/Lava/Word Records in 2005 and quickly achieved cross-genre success via five studio albums and innumerable headline tours. In addition, NEEDTOBREATHE received wide ranging attention from the national media, highlighted by performances on such high profile TV outlets as ABC’s Good Morning America and Jimmy Kimmel Live, TBS’ Conan, NBC’s The Tonight Show with Jay Leno and Late Night with Jimmy Fallon, CBS’ Late Show with David Letterman and CBS This Morning, and the nationally syndicated Ellen DeGeneres Show. NEEDTOBREATHE is joined by Drew & Ellie Holcomb and Ben Rector at the 2014 NEEDTOBREATHE Classic. Photo by Paul Kim. Nashville, Tenn. (June 24, 2014) - The 2014 NEEDTOBREATHE Classic golf tournament raised $140,000 last month in Daniel Island, SC, almost double the profits from the 2013 event, meaning more money for Charleston area nonprofit Palmetto Medical Initiative (PMI) in its efforts to provide quality health care to people around the world. Commonwealth Cares Foundation partners with NEEDTOBREATHE to host the annual golf tournament and auction benefiting PMI. Last year’s tournament raised about $80,000. The money will fund about half the cost of a second clinic in Uganda with work slated to begin in January 2015. PMI’s first clinic was in Masindi, Uganda. In January 2014, PMI dedicated its first clinic in El Viejo, Nicaragua. The second Uganda clinic will serve as a satellite for the main Masindi-Kitara Medical Center, where more than 80,000 patients have received care. Also this year, PMI announced plans to expand its efforts into Burundi. Joining NEEDTOBREATHE on the golf course were musicians Drew & Ellie Holcomb, Steven Curtis Chapman and Ed Roland of Collective Soul. Professional golfers Kevin Streelman along with hometown golfer Russell Henley participated along with Matt Diaz of the Miami Marlins; Todd Ellis, voice of the Gamecocks; and musicians Ben Rector, Mark Bryan and John Mark McMillan. NEEDTOBREATHE recently released the music video to their single "Multiplied," which continues to make gains at radio, breaking into the Top 20 on the Billboard Christian Songs Chart. "Multiplied" is off the band’s fifth studio album, Rivers In the Wasteland, which debuted at No. 3 on the Billboard 200 in April. NEEDTOBREATHE is an American Rock ‘n’ Roll Band from South Carolina, effortlessly woven from the musical traditions and faith of their upbringing in the Deep South of the United States. Made up of brothers Bear Rinehart (vocals, guitar) and Bo Rinehart (guitar, vocals), as well as Seth Bolt (bass, vocals), the band hit their big break in 2005 when they signed to Atlantic/Lava/Word Records. The career to follow would include five full studio albums, chart-topping cross-genre success, multiple headlining tours and media coverage on CONAN, The Tonight Show with Jay Leno, The Ellen Degeneres Show, Late Night with Jimmy Fallon, The Late Show with David Letterman, MTV, FOX and much more. The band’s fifth studio album, Rivers In The Wasteland, is available now. Nashville, Tenn. (May 13, 2014) – The NEEDTOBREATHE Classic presented by Commonwealth Cares Foundation has announced celebrity guests, performers, and athletes who will attend the annual golf tournament benefiting Charleston area nonprofit Palmetto Medical Initiative (PMI). Band members of NEEDTOBREATHE – Bear Rinehart, Bo Rinehart and Seth Bolt – are long-time supporters of PMI and, last year, decided to lend their name to Commonwealth Cares Foundation’s annual golf tournament to raise support. This year, musical guests include NEEDTOBREATHE, Drew & Ellie Holcomb, Steven Curtis Chapman, Mark Bryan of Hootie & the Blowfish, John Mark McMillan, Ben Rector and Ed Roland. All musical guests will perform in a private concert for sponsors and participants. Other special guests include PGA Tour winners Kevin Streelman (2013 Tampa Bay Championship) and Russell Henley (2013 Sony Open in Hawaii, 2014 Honda Classic). Former South Carolina quarterback and current Voice of the Gamecocks announcer Todd Ellis, as well as actor Justin Wheelon (Iron Man 3), will also participate in the tournament. The band raised more than $100,000 for PMI through last year's tournament and additional fundraising endeavors. PMI is building sustainable medical clinics around the world, including Uganda and Nicaragua, and recently announced plans to expand its efforts into Burundi. The proceeds from the 2013 NEEDTOBREATHE Classic were used to construct a medical clinic in El Viejo, Nicaragua, which was dedicated in January 2014. This year’s tournament proceeds will benefit another East African clinic, with work slated to begin in January 2015. For registration or sponsorship opportunities, call 843-884-4545. NEEDTOBREATHE and other musicians will perform at an after-party concert for sponsors and players (separate VIP ticket available for purchase with golf registration). NEEDTOBREATHE released their fifth studio album Rivers In the Wasteland last month, debuting at No. 3 on the Billboard 200. The band recently kicked off their headlining North American “Rivers In the Wasteland Tour.” For more information, visit needtobreathe.com. NEEDTOBREATHE is an American Rock ‘n’ Roll Band from South Carolina, effortlessly woven from the musical traditions and faith of their upbringing in the Deep South of the United States. Made up of brothers Bear Rinehart (vocals, guitar) and Bo Rinehart (guitar, vocals), as well as Seth Bolt (bass, vocals), the band hit their big break in 2005 when they signed to Atlantic/Lava/Word Records. The career to follow would include four full studio albums, chart-topping cross-genre success, multiple headlining tours and media coverage on CONAN, The Tonight Show with Jay Leno, Late Night with Jimmy Fallon, The Ellen Degeneres Show, Late Show with David Letterman, MTV, FOX and much more. The band’s fifth studio album, Rivers In the Wasteland, is available now. Nashville, Tenn. (April 23, 2014) - NEEDTOBREATHE and Atlantic/Word Records are thrilled to announce that the band's new album Rivers In the Wasteland has debuted at No. 3 on the Billboard 200 and No. 1 on the Christian Albums Chart. Released last week, Rivers went straight to No. 1 on the iTunes® chart and stayed in the Top 10 all week. NEEDTOBREATHE will return to The Late Show with David Letterman tonight for a performance of “The Heart,” joined by the legendary Paul Shaffer. The band's single "Difference Maker" continues to the climb the charts, hitting the Top 10 this week at CHR. The band's next single "Multiplied" went for adds last week and was picked up by 29 Christian AC stations, making it the most added single at Christian AC. Rivers In the Wasteland impressed fans and critics alike last week following its release. NewReleaseTuesday.com said, "You'll be hooked right from the opening notes..." while JesusFreakHideout.com praised a "welcome return for the South Carolina boys, and already one of the best releases of 2014." The band’s North American headlining that kicks off May 1 has been extended for another two months. The additional leg sees the band performing in Austin, New York, Philadelphia and Boston. See the full list of dates below. Nashville, Tenn. (February 18, 2014) – NEEDTOBREATHE is excited to announce the first leg of an extensive North American headlining tour in support of their anticipated new album Rivers In the Wasteland, out April 15 on Atlantic/Word Records. On May 1, the Charleston, SC rock band will kick off their tour which will see them visit some of the country’s most notable venues, including The Wiltern and The Fillmore, as well as perform at a number of summer festivals including Ichthus Festival, Creation NE and DownPour Festival. Glassnote Records artist Foy Vance will be direct support on this leg. With non-stop touring and gripping performances, the band’s powerful live show - one which NPR praises as “intriguing and vivacious” - has helped build a dedicated fan base, one that allows them to play in front of thousands of people across the country. NEEDTOBREATHE will spend all of 2014 on the road! “Difference Maker” continues to impact Christian radio, breaking into the Top 20 on the Hot AC/CHR chart last week and continuing to climb up the National Christian Audience chart. Rivers In the Wasteland was co-produced by the band with the help of various producers including Joe Chiccarelli (My Morning Jacket), Kevin Augunas (The Lumineers), Ed Cash (Chris Tomlin, TobyMac) and Jerrod Bettis (Adele). Pre-order Rivers In The Wasteland now and receive the new song “State I’m In,” along with two other instant grat tracks – “The Heart” and “Difference Maker.” Visit needtobreathe.com to purchase.